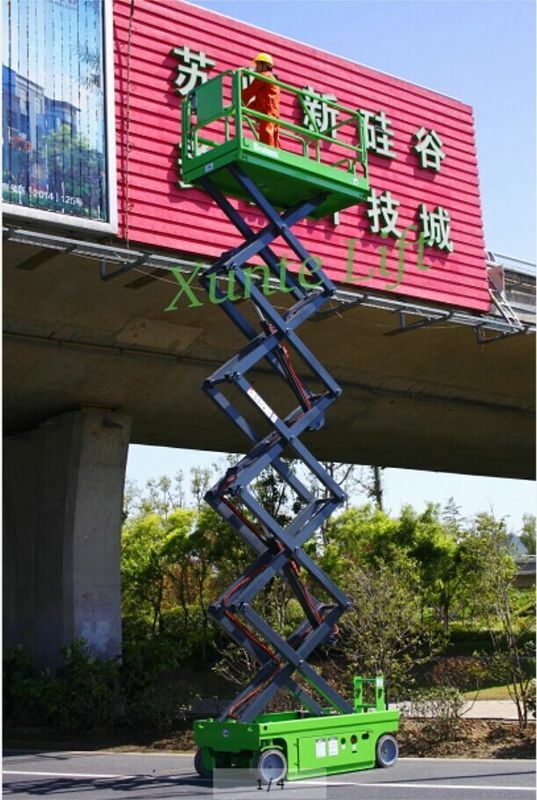 Bestmax Self-propelled Electric Scissor Lift (DC motor driving) is ideal for assisting finish various aerial work tasks in different situations to improve work efficiency. It has excellent structure, smooth driving, faster speed, lower noise, friendly to environment, deeply loved by users who always work outdoor, to provide you with a flexible mobility, operability. Suitable for rough-terrain ground, solid tires make the work more stability. Fully proportional control system, make the operate more easily. 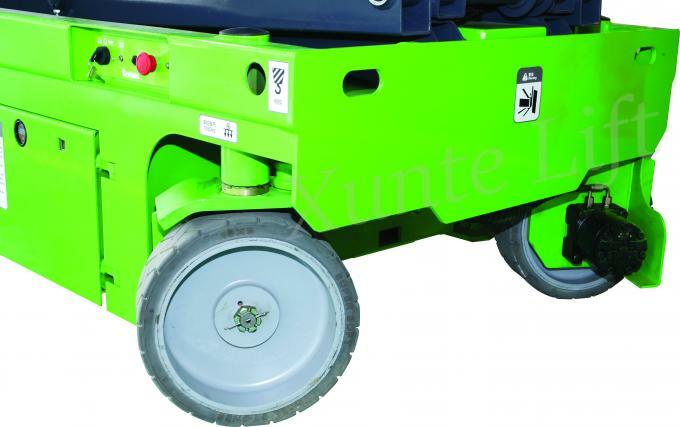 Stronger power, it can reach safe work height of 14m and unique in carrying capacity and wide platform that can bring more workers and tool set. With it to assist finish various aerial work tasks in different situations, work efficiency will be greatly improved. Fully proportional control, either lifting or moving, all can easily operating in the joystick. Zero inside turning radius, allowing users to use in a narrow space, and also facilitate changing positions. 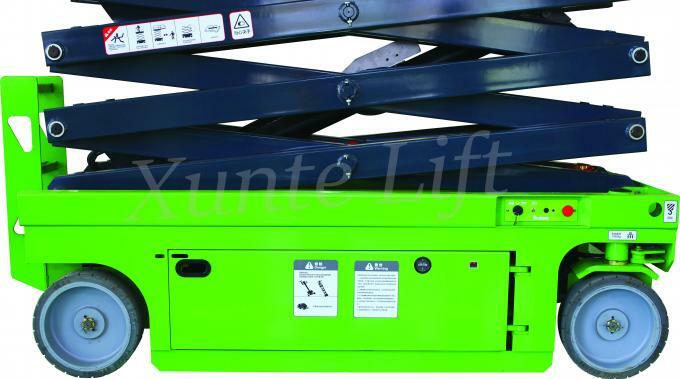 It has two kinds of moving speed to secure move quickly and lift safe. It give full consideration to the convenience of the user in their daily work. It has fault diagnosis system help the user can find the failure point one time. And also reduce the losses caused by forgotten maintenance. Platform Swing Gate make enter and out space more large, no restrictions to the guardrails. Fold-able guardrail make the machine can be easily through standard doors when move during working area. User can be optional airway tube to platform to make sure pneumatic tools and equipment can be used in the platform. AC wiring and socket to platform to meet the customers demand to make sure the electic tools can be used in the platform. The machine is equipped with motion alarm and horn when mowing to remind around person to take necessary precaution. 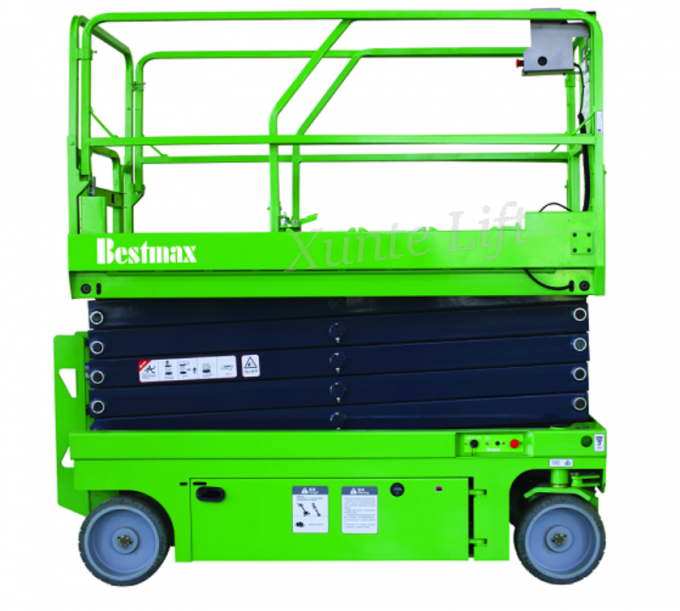 Why choose Bestmax Propelled Scissor Lift?